Flights To Mackay - 2019 Cheapest Mackay (BMP) Flights From AU$160! Wed., 17 Jul. - Sun., 21 Jul. Thu., 20 Jun. - Sun., 7 Jul. Calling all travellers looking for adventures off the beaten path! Please make your way to Mackay in an orderly fashion. Or a disorderly fashion. We won’t tell you your business. Just get here. Located appropriately at the mouth of the Pioneer River, Mackay is home to winding mangroves, fun Art Deco buildings and easy access to the Great Barrier Reef—all without having to set foot in a resort town. Pack your snorkel and Nemo-themed flippers, board one of lastminute.com.au’s Mackay flights, and get on your way already. The best way to get around on Mackay holidays is with your own set of wheels. Check out our car hire deals or hail a taxi. Bus service in the area is a bit limited, but streets are great for biking around the city if you want to burn off some calories from all that seafood you’ll be sending down your gullet. Are you on one of the flights to Mackay that lands in the morning? Then catch the sunrise or just lounge on Harbour Beach. Landing in the afternoon? Take a stroll down Victoria, Sydney or Wood streets and check out more Art Deco buildings than you can shake a selfie-stick at. So where do all the cool kids go locally? Check out an exhibition at Artspace Mackay. And when you’re ready for some low-key eats and the song of the seabirds, head to the Marina. Remember all that seafood we were talking about? Mmm-hmm. Chow down on fish and chips or pull out all the stops at a seafood buffet. You know what they say about holidays: When in doubt, eat. Mackay might be a well-kept secret, but there’s nothing mysterious about lastminute.com.au. We bring you the best deals on cheap flights to Mackay, plain and simple. Book today and your getaway could start tomorrow. So what are you waiting for? Question : What is the cheapest flight to Mackay? Answer : We offer plenty of flight options to Mackay starting at AU$160. 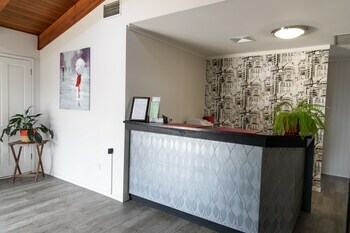 Lastminute.com.au understands that you're a curious cat, with some questions about your travel options. 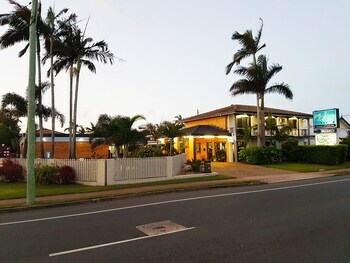 So we have some more helpful details about airport options, top hotels, and the most popular airlines flying to Mackay. Check below to get excited about your trip! Question : What airlines fly to Mackay the most? Answer : Each week we have flight options to Mackay. Knowing which airlines offer the most flights per week can help you find the cheapest and most reliable airline options - who doesn't want that? Especially when you can score a cheap flight to Mackay for just AU$160 right now! These are the airlines that have the most flights per week to Mackay airports. Qantas has 81 flight per week between Sydney and Mackay. V Australia Airlines has 45 flights per week between Sydney and Mackay. Singapore Airlines has 41 flight per week between Melbourne and Mackay. 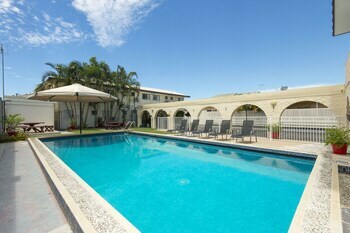 Question : What hotels should I stay at in Mackay, and what are some great places to visit? 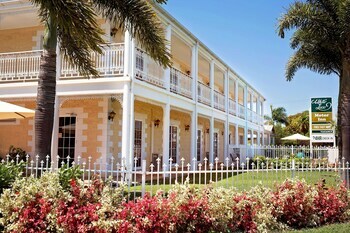 Coral Cay Resort Motor Inn is a 4.50 star hotel. 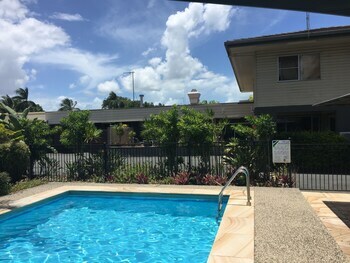 Situated in Mackay, this motel is within 1 mi (2 km) of Jubilee Park, Mackay Enertainment and Convention Centre, and Artspace Mackay. Bluewater Lagoon and Caneland Central are also within 1 mi (2 km). 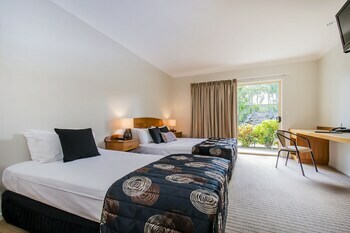 Mackay Grande Suites is a 4.50 star hotel. 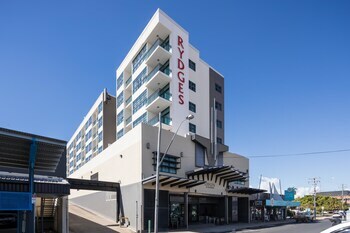 Located in the heart of Mackay, this hotel is within a 10-minute walk of Artspace Mackay, Jubilee Park, and Mackay Enertainment and Convention Centre. Bluewater Lagoon and Caneland Central are also within 15 minutes. 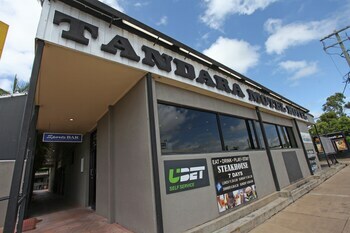 Question : What are the most popular points of interest to visit in Mackay? Answer : Mackay has 11 mind-blowingly cool sights and attractions you need to see! Make sure to check out Artspace Mackay and Mackay Regional Botanic Gardens. If those aren't quite your cup of tea, check out some other top spots like Bluewater Lagoon and Blacks Beach Park. Look out for our deals on rental cars below to make the most of your trip and visit as many of Mackay’s sights as possible! 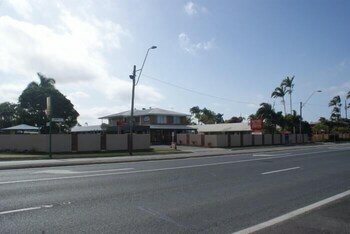 Question : What are the top deals on car rentals in Mackay?